Firecrest Mountain Biking are one of the most experienced Mountain Bike Skills Training providers in the UK. 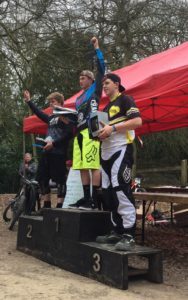 We have used our years of experience to pioneer and develop Mountain Bike Skills Courses for Mountain Bikers of all ages and abilities. If you’re new to Mountain Biking our ‘Get Started’ Course is the perfect place to start. The Course covers the Essential MTB Skills and Introduces you to the sport of Mountain Biking at your own pace. Using the Mountain Bike Trails Aston Hill. We’ve worked with thousands of riders looking to improve their skills and technique whether it’s a on the way to achieving a personal goal or closing the gap in terms of speed and skills to their friends out on the trails with ‘The System’ we have the key to unlock your skills. “Often referred to by those in the know as “the ultimate upgrade” a Mountain Bike Skills Course will Firecrest MTB will get you riding faster with the confidence to ride the trails and get the most from your mountain biking”. If you’ve been into mountain biking a while you’ve probably spent lots of your hard earned cash on the latest upgrades and widgets for you and your bike only to find that your still riding no faster. That’s when Mountain Bike Skills Training can really make a difference. Often referred to by those in the know as “the ultimate upgrade” a Mountain Bike Skills Course will Firecrest MTB will get you riding faster with the confidence to ride the trails and get the most from your mountain biking. Lots of the riders we work with have watched all the online tutorials and read all the online and magazine features to try and find ‘the flow’ but end up confused and over thinking what they are doing out on the trails. 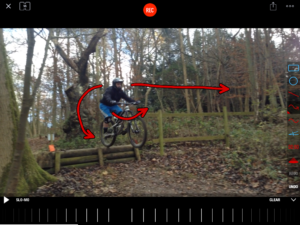 We tailor your mountain bike skills course to you, ‘the Firecrest MTB Skills System’ lets us explain in a simple and understandable way what you need to do to improve. So you can find ‘your flow’ giving you an insight into the way that the elements of ‘the System work together to make you a better mountain biker wherever your riding. Firecrest MTB have the Winning Formula! 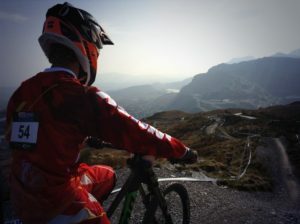 If you are Racing through the ranks in Downhill DH, Cross-Country (XC) or Enduro aiming to be the next World Champion and join the superstars of the sport; Loic Bruni, Rachel Atherton, Sam Hill, Manon Carpenter, Danny Hart, Aarron Gwin, Nino Shurter, Julian Absolon, Jolanda Neff, Richie Rude, and Cecile Ravanel then we have a Mountain Bike Skills Course for you. If your a Mountain Bike Enduro Racer our experience enables us to gain you time on the ups and the downs. We know how to find the time savings that can make all the difference to your stage times and MTB Enduro Race Results. Firecrest MTB have years of Mountain Bike Skills Development Experience and have worked with the UK’s fastest DH and XC racers. Alongside Training many of the Mountain Bike Skills Instructors now providing Mountain Bike Skills Instruction and Coaching across the UK. Firecrests Mountain Bike Skills Courses will improve your understanding of both the Physical Skills and Mental Approach and we will give you the Understanding, Confidence and Skills to get the most from your riding out on the Trails. No more ‘freezing’ as you approach technical sections and the feeling of ‘control’ when you’re pushing your limits that you’ve been looking for in your riding. We tailor all our Mountain Bike Skills Courses to meet your individual requirements. We’ll create a bespoke course for you. To make choosing one of our courses easier we’ve Categorised the Courses we offer to make choosing the right Mountain Bike Skills Course for you easy. Obviously we want to make sure we put together the right course for you or your group. Please Contact Us if you have any questions or would like any additional information regarding our courses. As one of the pioneers of Mountain Bike Skills Instruction and Skills Coaching there are very few Mountain Bike Skills Instructors with Ian Warby’s experience and in-depth understanding of how to develop your Mountain Bike Skills. 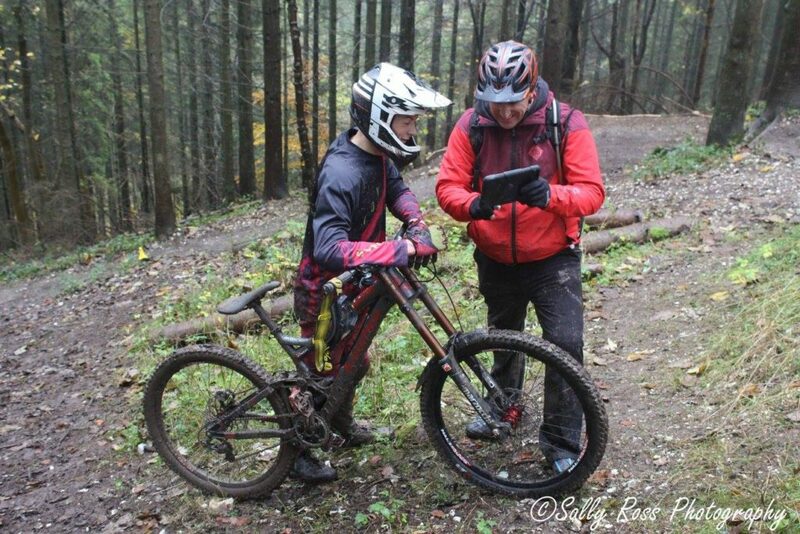 Ian is always working to develop and refine ‘The System’ that has been at the core of his Skills Coaching since day one and has been adopted by the UK’s Leading Mountain Bike Skills Instructors under Ian’s tutelage. Ian is always looking out for the latest developments in Sports Coaching and Technology to ensure that Firecrest Mountain Biking continue to be at the cutting edge of Mountain Bike Skills Delivery. Using the latest technology Ian can give you the ultimate insight into your riding using the I-Pad App, Coach’s Eye to give you an even deeper insight into your riding on all of our courses, On the ‘Race’ Courses we use our Freelap Digital Timing System to give you section times to the thousandth of a second and provide unique rider feedback, insight and to record your progression. Our Mountain Bike Skills Essentials course is perfect for beginners and covers everything you need to know to get started in mountain biking. Sharing over 20yrs of mountain bike experience to ensure that you have the skills essentials to get started on the right track. This course is aimed at riders looking to hone their Skills on a Downhill Bike. The Mountain Bike Skills Essentials we pack into this course will give you the edge on Downhill Mountain Bike Trails. From Jumps and Drops through to Advance Cornering Techniques, Line Choice and improving your Mental Skills we tailor your course to take your Downhill Skills to the next level. Every second counts? Well in our experience every tenth of a second counts. We’ve worked with downhill racers of all ages and abilities to shave minutes, seconds and tenths off their downhill run times and give them the competitve edge come race day. Whether you are Mountain Bike Downhill Racing at Regionals, Nationals or World Cup Downhills over the years we’ve worked with the UK’s fastest Mountain Bikers. Our comprehensive Downhill Courses utilise the range of Downhill trails on Aston Hill recgonised as some of the best Short Course Downhills in the UK. Looking to fly over the Jumps and float off the Drops that now punctuate Mountain Bike Trails across the UK? Firecrest MTB’s Mountain Bike Jumps and Drops course covers all the essentials that will have you hitting Jumps and Drop off’s with confidence. Firecrest Mountain Biking have been teaching riders to takle Jumps and Drops for over 16yrs and have a wealth of experience when it comes to working with riders to give them the confidence when both wheels are off the ground. Our proven approach will work with you to build your Confidence and develop your Jump and Drop techniques. Firecrest Mountain Biking have developed a whole new Skills Course around the race format that taking the UK by storm. If you’re looking at getting started or moving up the timesheets we have combined our years of Downhill (DH) and Cross-Country (XC) Skills Coaching to create an Enduro Race Skills Course. Do you ride an E-MTB and are you looking to improve your Mountain Bike Skills? Then this is the course for you. Firecrest MTB have put all of our knowledge and experience with over 19 years of working with mountain bikers to develop their skills into creating an E-MTB Mountain Bike Skills Course. Want to be a Singletrack Master? We’ve taken all the Skills, Energy Management and MTB Skills Essentials from our years of Coaching Experience and squeezed them into our Cross Country Trail Riding Skills Course. Mountain Bike Enduro and Cross-Country (XC) Racers spend hours honing their fitness only to lose out when the Mountain Bike Trail gets technical. 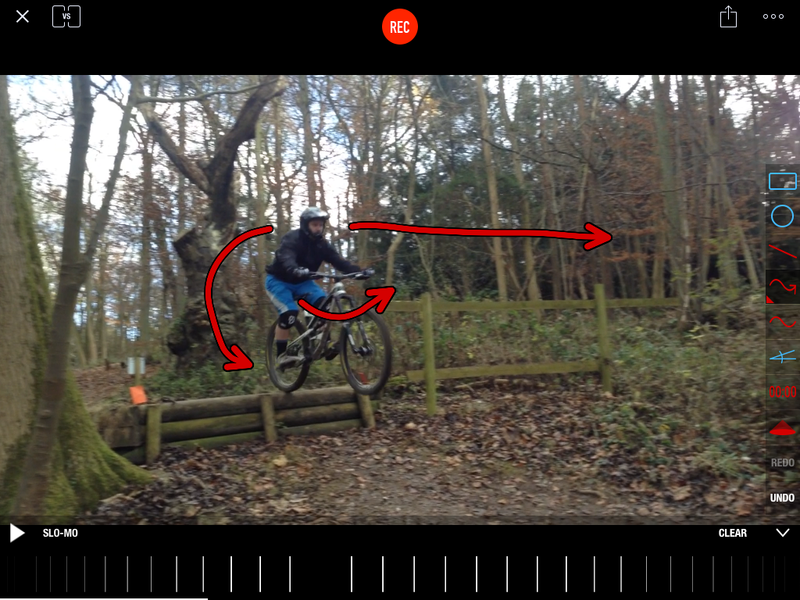 We’ve created this course to give Cross Country Mountain Bike (XC) Racers the edge looking at a everything from Line Choice through Jumps, Drops and Pumping this course is guaranteed to have you riding faster and thinking smarter. If you’re aged between 8 – 18 years of age and looking to get into Mountain Biking or improve your Mountain Bike Skills then the Firecrest Mountain Biking School Holiday Skills Courses are for you. Firecrest’s Programme of Young Mountain Biker Courses is one of the most progressive Young Rider Training Programs in the UK. For riders 18+ we have set up our Rider Development Programme (RDP for short). It’s a Skills Programme aimed at Adults, working along the same lines as the Young Rider Development Programme with regular Training Sessions run at an affordable price with the aim of building a solid Training Group of riders looking to develop their Skills. Look out for monthly course dates on the front page. To Book Your Course with Firecrest Mountain Biking or for more information please contact us.